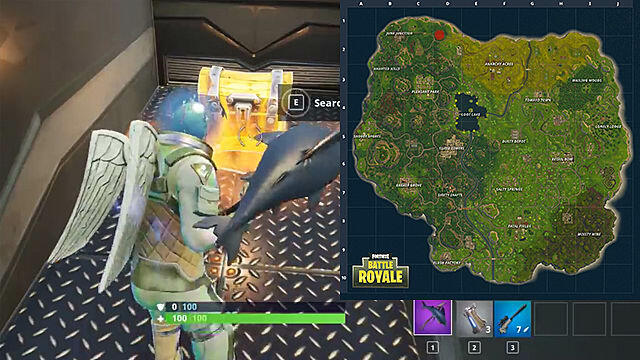 If you go all up to the edge of the map near the Junk Junction, you will find a spot with a crater. There are some vehicles all around it with several excellent chests. This place is unknown to most players, so be sure to check it out, as nobody will claim the loot before you. Try to check every truck and every trunk for a loot, and also the crater itself.